Since China began its open-door and reform policies in 1978, more than three million Chinese students have migrated to study abroad, and the United States has been their top destination. The recent surge of students following this pattern, along with the rising tide of Chinese middle- and upper-classes' emigration out of China, have aroused wide public and scholarly attention in both China and the US. 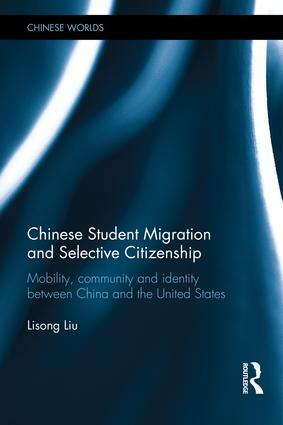 This book examines the four waves of Chinese student migration to the US since the late 1970s, showing how they were shaped by the profound changes in both nations and by US-China relations. It discusses how student migrants with high socioeconomic status transformed Chinese American communities and challenged American immigration laws and race relations. The book suggests that the rise of China has not negated the deeply rooted "American dream" that has been constantly reinvented in contemporary China. It also addresses the theme of "selective citizenship" – a way in which migrants seek to claim their autonomy - proposing that this notion captures the selective nature on both ends of the negotiations between nation-states and migrants. It cautions against a universal or idealized "dual citizenship" model, which has often been celebrated as a reflection of eroding national boundaries under globalization. This book draws on a wide variety of sources in Chinese and English, as well as extensive fieldwork in both China and the US, and its historical perspective sheds new light on contemporary Chinese student migration and post-1965 Chinese American community. Bridging the gap between Asian and Asian American studies, the book also integrates the studies of migration, education, and international relations. Therefore, it will be of interest to students of these fields, as well as Chinese history and Asian American history more generally. Lisong Liu is Assistant Professor of History and co-ordinator for Asian Studies at Susquehanna University, USA.